Exceed your expectations and satisfy your desire to own a fabulous home set back off of one of bucks county's most charming roads. 89 thompson mill road is a contemporary style home enhanced with traditional stone and cedar in the front and boasts a 2 1/2 story cedar and glass back. Towering hickorys, great oaks and flowering dogwoods provide the backdrop that is seen as you enter the property and enjoyed from the many windows inside the home. A variety of gorgeous hardwood flooring flows throughout the home leading all who live there to each unique room. A stately floor to ceiling stone fireplace is the focal point of the living room while the wall of long windows provide one of the many priceless views in the music room. Offering warmth from the wood stove and relaxation from the cypress hot tub is the den. The floor to ceiling wall of windows allow you to view the manicured grounds and wooded setting. Breath-taking views from the french doors and arch windows, gorgeous teak flooring, and fireplace with brick surround introduce you to the grand master suite. Sliding french doors open to the beautiful master bathroom. Walk-in and walk-through closets can finally allow for her clothes and shoes as well as his. Warm nights can provide for the enjoyment of sitting on the deck outside of this grand suite while warm mornings with the backdrop of the scenic setting can provide a relaxing spot for you to have your morning coffee. The top of the 2. 5 story windows can be seen from the study/guest room which overlooks the hot tub area. A media/game room, the exercise room and laundry room are found on the lower level. The following information describes the quality and care given to this home : new mechanicals in 2004, 2005: (4) zone new yorker boiler, two new bryant a/c units wtih variable air speed and air handling units, ventmatic (2) electric attic vents. Basement flooring is ceramic tile. Bilco exterior basement door. Newer kitchen appliances, velux operating skylight in kitchen, underground utilities. 3 new 1. 6gpf, american standard toilets. Updated powder room. A 600 gallon, fully plumbed and drained, white cypress hot tub heated by weil-mcclain heat exchanger. Outside shower, storage shed, garage power door lift. 3 fireplaces, the mb has propane. Ep henry pavered driveway and walkways. Floored attic with pull down steps and electric. Wired for security system. 89 thompson mill rd has it all! 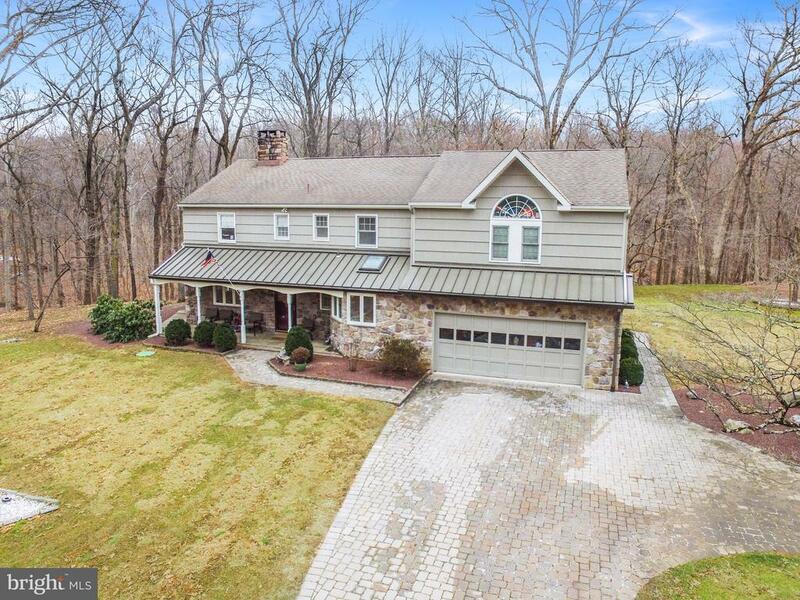 Come see why this is one bucks county's homes you will want to own! For more information or make an appointment to see property ID PABU400146.